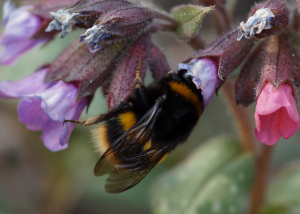 Observation - Bumblebee - UK and Ireland. Description: Large bee - hard to see if end colour is orange or white. Large bee - hard to see if end colour is orange or white.